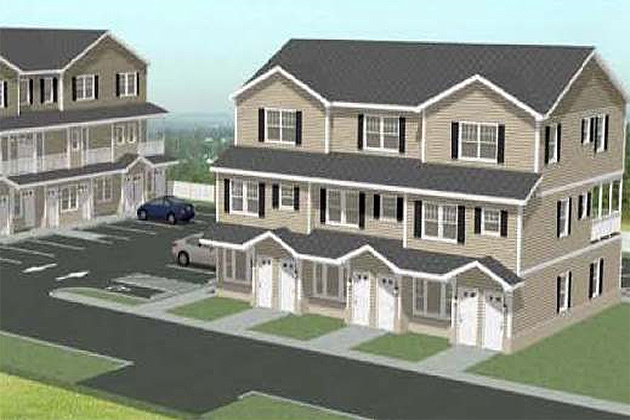 Bowridge Commons is comprised of 16 fair and affordable homes in two three story structures. The buildings will contain eight (8) two bedroom duplex units and 8 one bedroom units with 24 parking spaces. They are of modular construction. The one bedroom units are located on the ground level. They are approximately +/‐745 sq. ft. They have one bathroom, living room, and kitchen/dining area. The two bedroom units are duplexes with +/‐1,363 sq. ft with a living room, kitchen/dining area, 1 and 1/2 baths, and a walk‐in closet. Some have terraces. The appliance package include Energy Star refrigerator, stove, dishwasher and washer/dryer. Each home is individually controlled for heat and air conditioning. Bowridge Commons is in the Village of Rye Brook located at 2‐32 Barber Place. Rye Brook is in southeast Westchester County bordered by Rye, Port Chester, Harrison and Long Island Sound. The Village is approximately 15 miles northeast of New York City and approximately seven miles from the City of White Plains. Major retail is conveniently located in nearby Port Chester. Neighborhood retail is within walking distance. It is less than two blocks from the Rye Ridge Shopping Center which has over 40 specialty stores, restaurants and professional services. The Westchester County Bee‐Line Bus System services the area with bus Route #76 which runs along South Regent Street. The site is also near Bus Route #13 which runs along Westchester Avenue which is approximately four blocks to the north. The route leads to the center of Village of Port Chester and the commuter train station provides access to employment centers to the north such as Greenwich and Stamford, Connecticut and to New York City to the south. The site also enjoys easy access to I‐287, a major east‐west roadway. Students in Bowridge Commons would utilize the Port Chester Rye Union Free School District. The Village of Rye Brook offers a host of activities at its senior and family oriented community center, the Anthony J. Posillipo (AJP) Community Center. The Village of Rye Brook has six (6) major parks, totaling nearly 100 acres in all. Rye Brook residents also enjoy use of the shared facilities in the Town of Rye, such as Crawford Park, Rye Town Park and Oakland Beach. The Village provides a variety of recreation and sports programs for residents. The Village of Rye Brook has independent Police and Sanitation departments. The Rye Arts Center is nearby as is the Port Chester‐Rye Brook Library. Nearby hospitals include Greenwich Hospital in Greenwich, CT and White Plains Hospital In White Plains, NY both within a 15 minute range. Various churches and synagogues are also nearby. Major businesses in the Village include Snapple, Universal American and WRNN‐TV. Eligibility Requirements: In order to qualify for the homes, household income must be at or below 80 percent of the area median income for Westchester County based on HUD Income Guidelines. For More Information and How to Apply: Contact the Housing Action Council by sending an e-mail to hac@affordablehomes.org or calling (914) 332-4144.